What exactly does Vladimir Putin want? Did Putin intentionally create political bedlam in the U.S. or did he just get lucky? Russian President Vladimir Putin looks on as he visits an exhibition about Russian emperor Peter the Great at the Grand Trianon near Paris on Monday. The near-daily revelations about Russia’s reported role in the 2016 election, as well as contacts between the Trump transition team and Russian government officials, have raised a number of questions, paramount among them: What exactly does Vladimir Putin want? This question became only more urgent after reports of Russian meddling in the French election and with Donald Trump straining the Atlantic alliance after a disastrous trip to Europe last week. Isaac Chotiner: How unprecedented is the current, weird state of U.S.–Russia relations, and how would you define it? William Taubman: I’ve done some thinking about whether or not we are in a cold war, and I think we are. If you ask yourself what are the main characteristics of a cold war, these characteristics are right before us. Each side sees the other as entirely at fault, and sees the conflict as based on ideologically sacrosanct principles rather than geopolitical differences, which might be more readily negotiated. Each side believes the cold war can’t end unless the other side fundamentally changes or collapses. Each side sees any agreements between them as basically tactical or temporary. God even knows what Trump’s interests are because he clearly doesn’t see Russia at fault. But how do you view Putin’s recent actions, and exactly what he is trying to accomplish? I think Putin was looking to ease this new cold war. He doesn’t like the sanctions. He would like Russia to be accepted both as a great power and him as a great leader. He would like to have his cake and eat it, if possible, but have better relations with the West. I think he saw Trump as somebody who, for whatever Trump’s reasons, might play ball. What else did the praise Trump was heaping on him in the campaign mean, and the praise that Putin was heaping on Trump? I’d go even further than that. I think that some sort of deal between the two of them would have been in the interests of both countries, or could have been in the interests of both countries, and of the world. There was one point when the London Times published I guess as a rumor that there would be an early summit between Trump and Putin, and it would be at Reykjavik. My heart leapt, mainly because of my study of Reagan and Gorbachev at Reykjavik, but also because I was trying to imagine the deal they might make there. I’m not a policymaker but what I imagined was that part of the deal was that Trump would de facto affirmatively accept the Russian annexation of Crimea, which can’t be altered or reversed anyway I think, and maybe he would begin to ease the sanctions, if he could get the Europeans to go with him, which would probably be all too easy. In return, Putin would back off on Ukraine. Exactly how, I don’t know the terms of that, but in a sense he would let Ukraine be Ukraine, and maybe pull troops out of that part of Ukraine, and pull back from exercises on the Baltic borders. One thing that really disturbs me these days is that you can’t read a statement of an American senator or congressman that mentions Putin without seeing that his name is prefaced by the words murderer and thug. I said he’s a shrewd man and a rational man. He’s also a bad man in many ways, and he’s totally ruthless and brutal, but you don’t conduct relations with another great power by prefacing its leader’s names with murder and thug in every utterance you make. I think that those comments reflect a sense of fear and disquiet about Trump’s relationship with Russia, which I think people see not as two leaders coming together to make sensible policy, but something more nefarious going on. Yes, of course. It’s hard to imagine Trump thinking through a deal with Putin, thinking through its components, thinking through the pros and cons, weighing the virtues and disadvantages, and proceeding in a rational manner. It’s much more likely he is responding to some vague sense that it’s crazy for Russia and the United States to be at odds when both are threatened by international terrorism, and he may be responding to ways in which the Russians have holds over him. 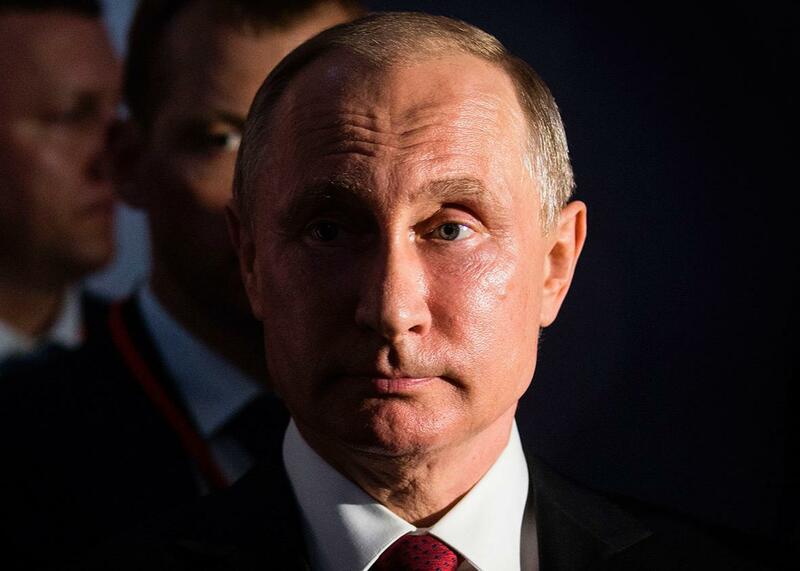 Do you think that as long as Putin is in charge of Russia, things are unlikely to change? I wrote a book about the origins of the old Cold War called Stalin’s American Policy. In that case, I tended to blame the Soviets and Stalin more than the United States. That’s of course a big debate and there’s a lot written on that. This time around, I think the blame is equally to be shared for the origins of the new cold war between Russia and the United States. I can elaborate on that. Putin, if you read his speeches, is constantly talking about the history of American moves since 1991. He goes back to the expansion of NATO in its several stages, first the inclusion of East Germany when Germany reunited—it was allowed by Gorbachev to remain in NATO. Then in 1997, the addition of the Czech Republic, Poland, and Hungary. Then in 2002, Slovenia, Slovakia, Romania, Bulgaria, and the Baltic states. Then the threat in 2008 that Ukraine and Georgia would also join eventually. Then of course there is the war in Iraq, which we conducted without the permission of the U.N. There’s the bombing of Belgrade as part of our attempt to protect the Bosnians and the Kosovars against Serbia. Then there’s Obama’s conduct in Libya, in which the U.N. did produce a resolution authorizing a no-fly zone, but we and our allies took it to mean we could eliminate Gadhafi. I could go on. I’m giving you Putin’s case that we were responsible. I agree with him about most of those things. I think they were mistakes. On the other hand, his response has been in the end to seize Crimea, to invade eastern Ukraine, to conduct military exercises along the Baltics. All of these things were in some ways more serious than what we did, in the sense that, for example, the annexation of Crimea was a move against the very basis of the international order since the end of World War II. And now Russia appears to have meddled in our election. Of course, yeah. How could I forget that? Do you agree with one common reading of the late-Soviet and early post-Soviet period that Reagan and then Bush worked very well with Gorbachev, and then Yeltsin came in and Clinton developed this relationship with him, but then things went off the rails a little bit in the ’90s with hasty privatizations, etc.? All the people we sent over there to help build capitalism and democracy were indeed urging them to do that, but they’re the ones who took our advice. They’re the ones who implemented it in a way that aggravated, deepened inequality, and produced much of the real Russian resentment against American aid. They’re the ones, the Russians, who created the class of oligarchs. I think, looking back, that Reagan oddly enough turned out to be the perfect partner for Gorbachev. That was based partly on the fact that they both turned out to be nuclear abolitionists. It was also based on their personal chemistry. Bush came in, and he treated Gorbachev quite well, and Gorbachev liked him very much, but you could already see in that period the seeds, at least I would say the seeds, of trouble ahead. In 1989, Bush comes in and declares a pause in U.S.–Soviet relations while he and his people, including Cheney for example, reassessed whether Reagan had done the right thing by being so cozy with Gorbachev. That badly hurt Gorbachev’s prospects at home. Then, in 1990, Gorbachev has … look what he’s done. He’s acquiesced in the liberation of Eastern Europe. He’s acquiesced in the reunification of Germany, which nobody in the West expects him to do. He’s acquiesced furthermore in a reunified Germany’s membership in NATO, which nobody in the West expects him to do. What is he hoping for? He’s hoping for the end to the east-west division in Europe. He’s hoping for, and Bush has encouraged him to hope, that NATO will become a political rather than military alliance. He’s hoping NATO and the Warsaw Pact will eventually disappear. What happens? Bush won’t play ball in the end. Instead, the process of NATO expansion, as I mentioned a few minutes ago, begins with East Germany. Putin goes over that endlessly as the beginning of the trouble, and so does Gorbachev himself. There has been speculation that Putin is just simply wants chaos here, and the fact that there’s this huge investigation now, and we’re all obsessed about Russia everyday plays into Russian hands. Do you agree with that? I’m sure he’s not displeased with some of the chaos you’ve just described, but I suspect that was not necessarily his aim in the beginning. It’s hard to imagine, shrewd as he is, him imagining the scenario which plays out in the way these first months of Trump have played out. It’s too absurd and complicated for him to have imagined. I hesitate to go directly from that to his vendetta against Hillary Clinton, for example, but I think we know he felt he felt betrayed by, in his view, her encouraging or even fomenting the demonstrations against those elections in 2011 and 2012, which he helped to rig. If I can quote another passage, this is from earlier, he’s describing the apartment house he lived in growing up in Leningrad. There on the stair landing, I got a quick and lasting lesson in the meaning of the word cornered. There were hordes of rats in the front entryway. My friends and I used to chase them around with sticks. Once I spotted a huge rat and pursued it down the hall until I drove it into a corner. It had nowhere to run. Suddenly, it lashed around and threw itself at me. I was surprised and frightened. Now the rat was chasing me. It jumped across the landing and down the stairs. Luckily, I was a little faster, and I managed to slam the door shut in its nose. Maybe the fact that I quote these things reflects my role as a biographer. I’m always looking for early experiences which might reveal characteristics that later play a role when the child becomes the leader. If You might think of him that way, as somebody who felt cornered by the American actions, who felt betrayed by some of the American actions, and lashed out in the way that he has. But one of the questions I ask myself and that I think we should ask ourselves is that even if we imagine a counterfactual scenario in which the United States avoids doing all of the things like expanding NATO that Putin condemns, would he have found some other reason to feel aggrieved and alienated, and hence to try to lash out at us? Right. I mean, it’s hard to imagine that even with better American policies he wouldn’t have eventually been aggressive. I’ll give you one example of a certain action that’s connected to the hacking. Remember all those years in the ’90s when we in the United States sent people over to Russia to try to help them learn how to be a democracy? I’m sure that Putin, with his KGB background, viewed that as the functional equivalent of hacking. What were we doing? We were interfering in their elections. The fact that they welcomed that at the time, people like Yeltsin welcomed it at the time, makes no difference to Putin as he looks at it through his own lens. It seems like the depressing upshot of this conversation is that there are things that could be done to somehow lower tensions despite there being big problems, but we’re not in a place or with leaders who are going to do them. I think that’s absolutely right. I think it’s worth lowering tensions if we can possibly do it. After all, we’re both still armed to the teeth with nuclear weapons. We both still face a common enemy. It’s worth doing. It’s important to try to do it, but I certainly don’t imagine an end to this cold war akin to the end of the old Cold War, which Gorbachev achieved together with Reagan and Bush. Thank you for cheering me up, Bill. Cheering you up? I don’t think I cheered you up.